It’s no secret that Singapore is a melting pot of different cultures and cuisines. No visit to Singapore is complete without paying a visit to hawker stalls to gorge on some delicious local food. 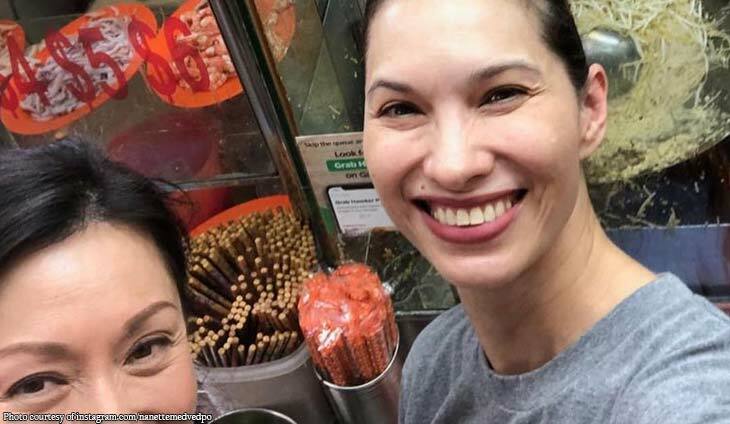 So when Singaporean journalist Christine Tan invited phantrophist Nanette Medved to try out the city’s best hawker food, the latter happily obliged. “For those of you who know me- you know I love to eat! So when @christinecnbc offered to show me to her favorite hawker stands in Singapore I could not resist 😊 Thank you so much for sharing your weekend with me, for the great food and even more amazing company 💙 Headed home now 💙,” said @nanettemedvedpo. Where do you put those extra calories, Nanette?